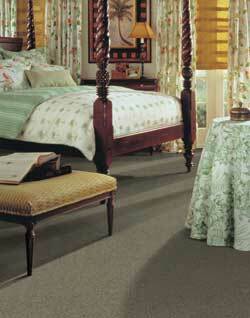 This fashionable pin-dot carpet has the elegant, appearance of wool and a softer, more natural feel. Waverly, your complete decorating resource, now has a collection of carpeting in a dazzling range of colors and styles. With this newest addition to our home furnishings line, you can be confident that your choice of floor covering will blend perfectly with the fabrics and furniture style in the room, creating an appealing and harmonious setting. Click here for more information about Waverly® Carpet.